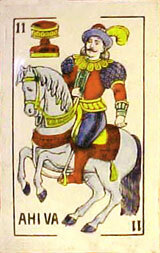 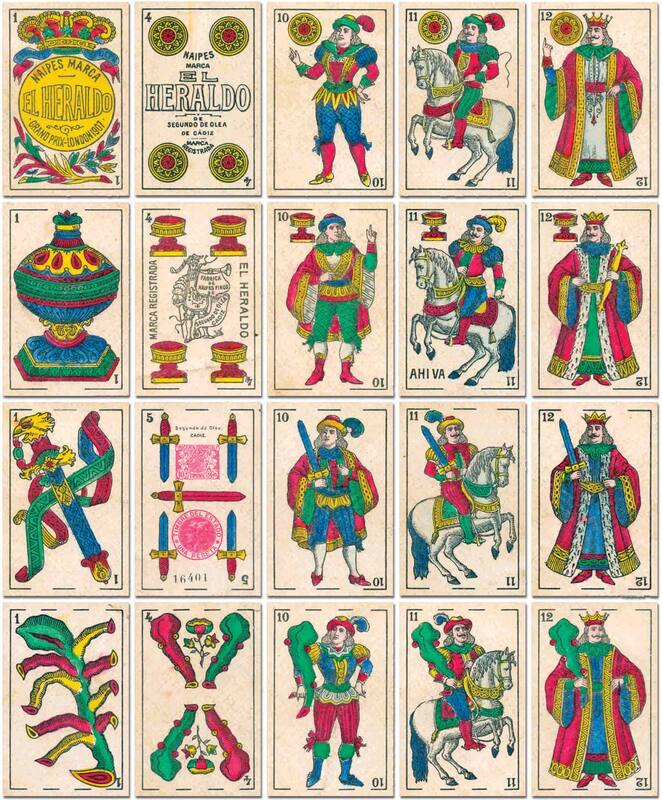 Earlier editions of this deck were virtually identical to “Los Dos Tigres” brand by González Risso, but later on the two manufacturers differentiated their products more noticeably. 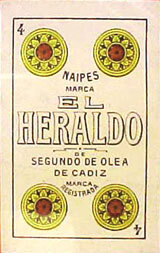 Above: final version of the “El Heraldo” brand by Segundo de Olea Aguilera, c.1925. 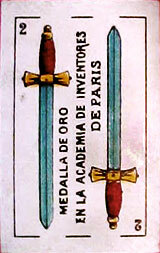 The five of swords has a one peseta tax stamp and also a 10 céntimos local surcharge. 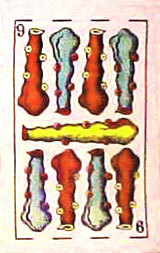 Images and notes courtesy Alberto Pérez González. 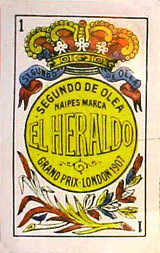 Above: cards from an earlier edition of “El Heraldo”, with the name “Segundo de Olea” on the ace of coins instead of “Naipes Marca”, c.1910.